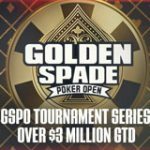 The iPOPS V Series tournament schedule has been released with more than $1,250,000 in guaranteed prize pools to be won on Winner Poker. 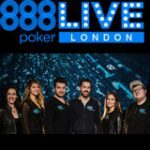 The iPoker Online Poker Series V runs daily from the 16 November - 1 December starting with 8 low buy-in tournaments and 8 high stakes tournaments. 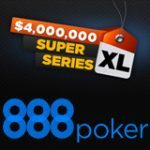 Satellites are currently available giving players the chance to qualify for any of the events in the series for a fraction of the direct buy-in. The Winner Sports tournaments are underway at the moment, play for your share of the added prize pool and WinnerSports freebets this football season. 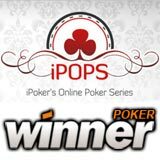 The iPoker Online Poker Series is back, the series will be available on iPoker Network skins which includes WinnerPoker and TitanPoker. The iPOPS V series is split up into two categories: low and high buy-in events which also includes a Main Event. Get your seat to the series by playing satellite tournaments which start from as little as $0.05, start qualifying for your seat today. 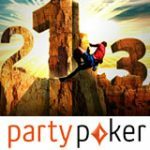 Download Winner Poker - 250% first deposit up to $2,000. Download Titan Poker - 200% first deposit up to $2,000. See the full iPoker Online Poker Series V schedule below for low & high buy-in events in the iPOPS V series. 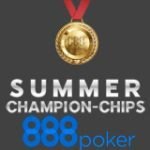 These High buy-in tournaments offer decent guaranteed prize pools, buy-in directly or win your seat in the daily satellite tournaments. The Winner Poker App is also available offering players the poker platform for Android, iPad and iPhone. 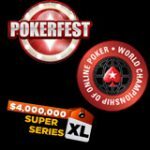 The poker app is one of the only poker apps on an iPoker Network poker site, get the WinnerPoker App for your mobile device.